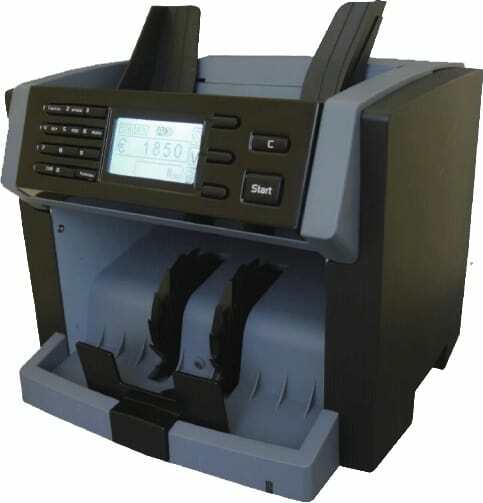 This unit can count US currency and also will display the total in US Dollars. The same time counting will also look for counterfeit bills and will stop if any counterfeit bill is recognized. We recommend this unit to retail stores, car washes, and small credit unions. it has very small footprint and can easy feet in any small are in front of counter. Its so friggin fast...sometimes makes u wonder if its even detecting bills or JUST throwing them throw the sorter.....I'm trying to get a fake bill and mix it in a bunch of 20's to test it out.